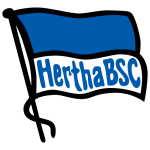 Hertha Berlin vs FSV Mainz 05 predictions for this weekend’s German Bundesliga. Mid-table sides Hertha and Mainz go head to head at the Olympiastadion on Saturday. Read on for our free betting tips and match preview. Hertha Berlin have produced a number of shock results so far this season, but last weekend’s match away to league leaders Bayern Munich was never going to be one of them. Hertha were poor against tough opposition and recorded their lowest xG (expected goals) tally of any match so far in 2019. Pal Dardai’s men have won just 4 of their last 17 league matches (W4 D7 L6) too, so it’s not surprising to see them now five points off the top six and a European finish. Second top scorer Vedad Ibisevic may, therefore, find himself back in the starting XI to help shake things up. What is xG and how do expected goals work in football betting? Mainz finally got some points on the board for February in last weekend’s convincing 3-0 win at home to Schalke. Defeats against Wolfsburg, Leverkusen and Augsburg in the games prior may have seen them lose three in a row for this first time since early 2018, but there’s still a comfortable cushion between them and the relegation zone. Coach Sandro Schwarz will also be happy to record their first clean sheet since November, a time at which the 05ers were having more problems scoring than conceding them. Mainz look to take advantage of Hertha’s shaky form and last weekend’s win could springboard them to a result here. Hertha’s recent defensive performances have left a lot to be desired – Dardai’s men have kept just one clean sheet in their last nine Bundesliga outings – and that’s something that hasn’t been much better at home. Hertha have conceded at least one goal in all but one of their last eight outings at the Olympiastadion, over which they’ve recorded just one win in front of the home fans (W1 D5 L2). Mainz, meanwhile, have won or drawn in four of their last seven on the road (W3 D1 L3). Looking closer at head-to-head trends, Mainz are unbeaten in four against Hertha (W3 D1) too, yet another statistic that adds to the reasoning why backing Mainz “double chance” (win or draw) should be a profitable bet on Saturday. When Mainz score, the goals tend to come in numbers – the 05ers have scored multiple goals in four of their last eight league outings – so it’d be reasonable to say there could even be some value in seeing them come away from the German capital with all three points. However, with Mainz’s defense not being too tight, it wouldn’t come as a shock to see the hosts get on the scoresheet too. Our prediction: 2-1 Mainz. Hertha BSC haven’t scored in any of their last four games against Mainz – a fifth blank would equal their record in the Bundesliga against a single opponent (against FC Bayern between 2014 and 2016). Berlin have already scored nine goals on the counter this season, a joint-league high along with Frankfurt and Wolfsburg. Mainz, on the other hand, have scored the second-fewest counterattacking goals (2), ahead of only Schalke (1). Hertha have only won one of their last five league games (3-0 in Gladbach on MD21). They are now five points adrift of sixth place. Berlin have failed to win any of their last four home games (D3 L1). The last time they did so was one year ago, when Hertha went five home matches without recording a victory between January and March. Hertha’s Davie Selke has been involved in six of the club’s nine goals in 2019 (2 goals, 4 assists). Having had a hand in eight league goals in total, he has the third-best such tally at the club this season (Duda 12, Ibisevic 10). Mainz 05 have lost their last two away games and have won just one of their last five on the road (D1 L3) – that 3-2 victory in Stuttgart came in their opening match of 2019. 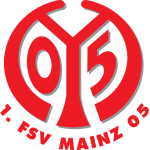 Mainz’s win over Schalke 04 was their first victory of the season against a side that have competed in European competition this season. The Zerofivers had previously collected just two points from their eight games against opponents that qualified for Europe (D2 L6). Mainz’s 3-0 win over Schalke means they are still unbeaten in all 10 Bundesliga games in which they’ve taken the lead (W8 D2). Only Schalke (2) and Leipzig (3) have dropped fewer points from winning positions this season than Mainz (4). While only Augsburg (12) have conceded more goals than Mainz over their last four Bundesliga games (11), the Zerofivers did manage to end a run of nine competitive games without a clean sheet in their 3-0 home win over Schalke last time out.